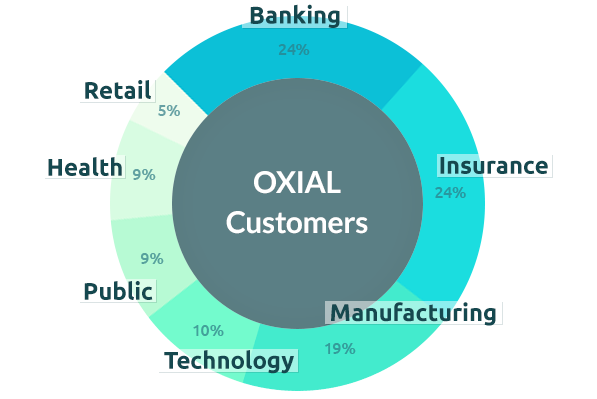 OXIAL is the Governance Risk and Compliance Software vendor and developer. Our solutions have been enabling customers to deliver consistent Governance, Risk and Compliance procedures since 2005. We provide new generation GRC software solution that eliminates the main flaws of current GRC software packages, like long implementation time and complex change management. OXIAL offering enables interoperable software modules for the comprehensive management of risk, internal control and internal audit – allowing the safe and phased implementation of a tool for enterprise risk management. We have more than 40 customers ranging from Financial Services to Manufacturing to Insurance companies. With offices in Switzerland, France, Morocco and the UK, Oxial AG has recently been named top performer in terms of features by AMRAE (French association of Enterprise Risk Management) – a testimonial of how innovation and risk management can go hand in hand. The newest solution called Oxial GRC Express can be implemented in just 4 weeks.